Becoming Middle-Brained with FileMaker 14 and Beth Latta of IT Solutions as we dissect an existing FileMaker solution and re-envision it with new features of FileMaker 14. Join FM Academy for a Webinar on Tuesday, June 16th @ 2pm. Register Now! We’re all familiar with the concept that “left-brained” people are more logical and structured, and that “right-brained” people are more artistic and creative. FileMaker 14 is the perfect marriage of logic and creativity, allowing developers now to find that perfect middle balance. With the introduction of the Script Workspace we can use our left brains more efficiently to write, comment, and debug scripts faster than ever before. With the new Navigation Part, Button Bars, and built-in Icons we can turn that logic into beautiful objects and elements far more effectively than ever before. 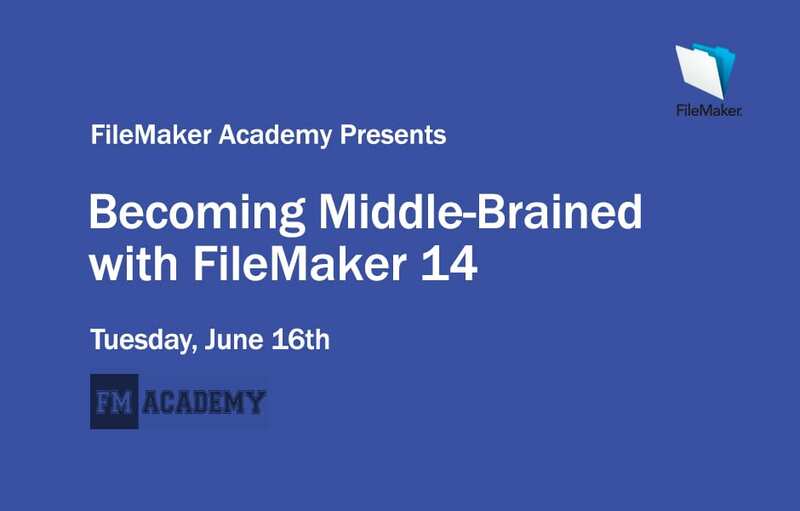 Join FM Academy and Beth Latta of IT Solutions as we dissect an existing FileMaker solution and re-envision it with new features of FileMaker 14.